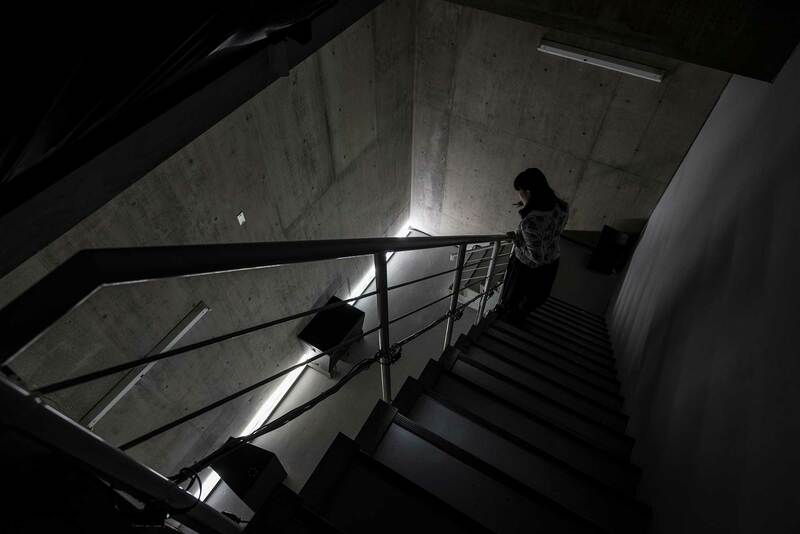 This sound installation consists of four loudspeakers that play sine waves in a small concrete-walled room. Frequency responses were measured beforehand at each point on a 30 x 30 cm grid in the exhibition space. Based on these measurement results, revealed the spatial “deviations” that found the characteristic frequencies and combinations of these create the space’s distinctive sound. Even though the individual sounds themselves do not change, together they make up a dynamically transforming sound field in which sounds intensify or cancel out each other depending on the listening position in the room. While walking around the space of four invisible layers of sine waves, visitors discover and explore their own individual narratives, the characteristics of hearing, the interaction of sine waves, and the acoustics of the space itself.